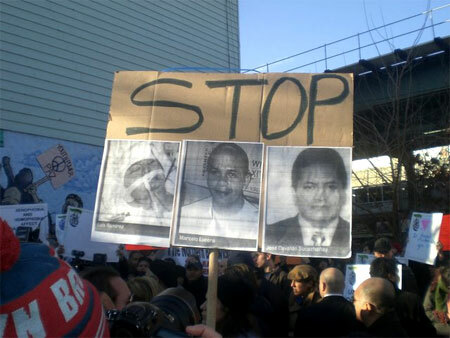 Yesterday, a vigil was held for Jose Sucuzhañay, the Ecuadoran immigrant whose life was taken by four men in a brutal anti-gay, anti-Hispanic attack in Brooklyn last week. Joe.My.God has posted a bunch of photos from the vigil, which began with a short march and ended at the site of the attack at Bushwick Avenue and Kossuth Place in the Bushwick section of Brooklyn. Between two and three hundred people attended the remembrance. Brooklyn Borough President Marty Markowitz, New York City Council Speaker Christine Quinn, NY State Senator Tom Duane, Rep. Anthony Weiner, and Kings County District Attorney Charles Hynes were among the political leaders who were there. Sucuzhañay, who was declared brain dead last week, was still on life support despite newswire reports to the contrary, until late Friday night when he finally died. 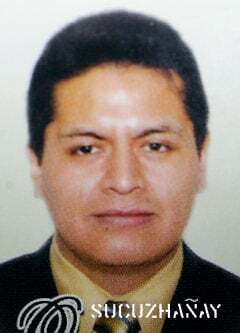 Sucuzhañay died just hours before his mother, who flew in from Ecuador, could see him alive. The assailants who beat Sucuzhañay are still at large. There is a $27,000 reward for information leading to their capture.